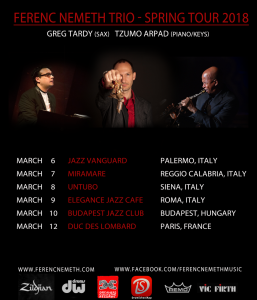 FERENC NEMETH- an exciting performer and imaginative collaborator – is well regarded for his work with the who is who in Jazz, including multiple GRAMMY award winning artists such as Herbie Hancock, Wayne Shorter, Joshua Redman, John Patitucci, Mark Turner, Russell Ferrante…etc. Ferenc’s new project is based on Hungarian music (getting back to his roots), combined with his 20 years experience in New York, plus improvisation and electronic sounds to make the music more relevant. The mix is a modern adaptation of old soulful melodies with a great variety of rhythmic content, improvisation and some interesting sound Textures. IT’S A MUST SEE PERFORMANCE! 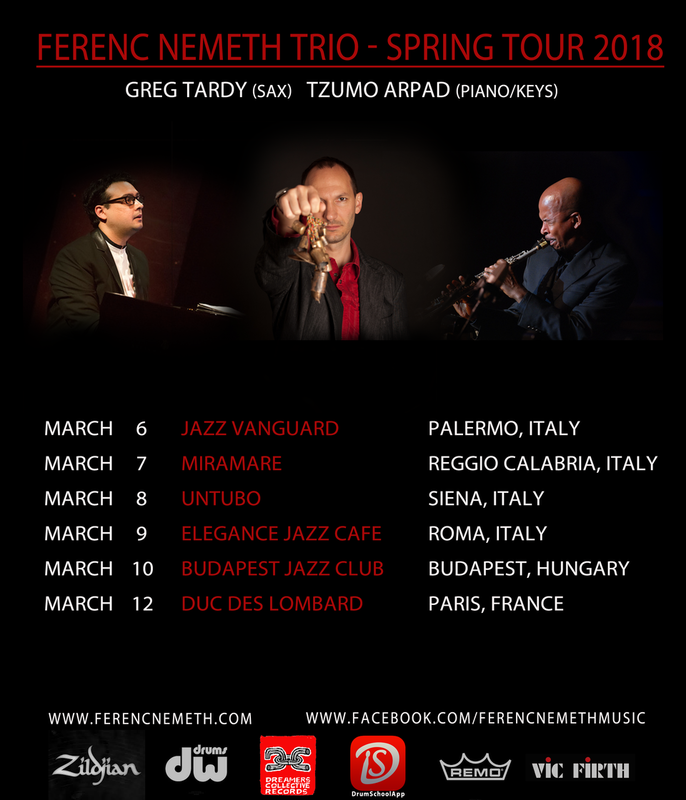 Gregory Tardy was born into a musical family, began his musical career studying classical clarinet. At the prodding of his older brother, Tardy finally explored the music of John Coltrane, and determined to be a jazz musician. While in New Orleans, Tardy als o played with some of the local brass bands, did some gigging with the Neville Brothers, Allen Toussaint, and groups of all styles. In 1992 he was picked up by Elvin Jones Jazz Machine, a relationship that lasted several years. In New York, he went on to perform and record with an extremely large array of prominent artists including: Tom Harrell, Dave Douglas, Wynton Marsalis, Jay McShann, Steve Colem an, Betty Carter, James Moody, Bill Frisell, Rashied Ali , John Patitucci, and many more. 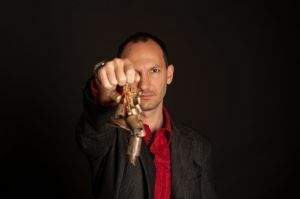 Tzumo Árpád was born in 1980 to a Gipsy family. From the age of seven he studied classical music but later he switched to jazz and got a full scholarship to Berklee College of Music and in 2003 he applied and got accepted to the Prestigious Thelonious Monk Institute of Jazz. He has performed with the Monk Institute Band.